You are invited to embark on a unique sentimental journey. 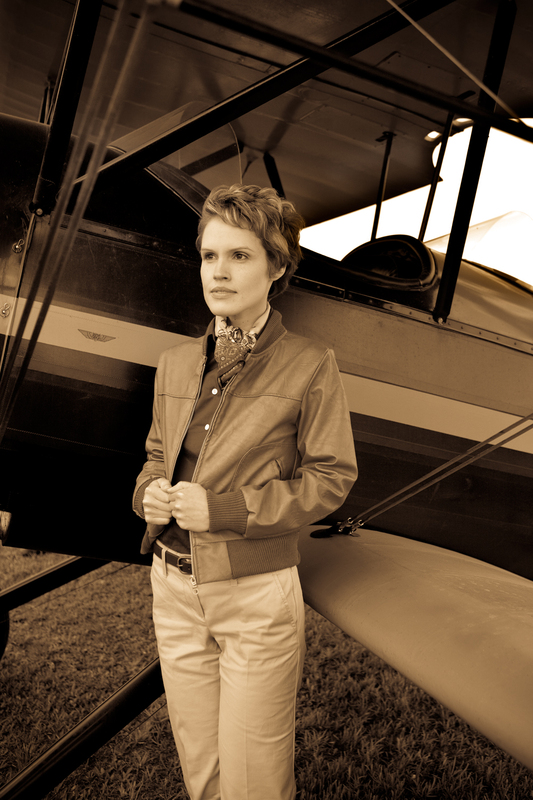 Actress and Historian Monica Hoffman performs as Amelia Earhart in a one woman show that reveals the life and legacy of the world’s most celebrated female aviator. Before her mysterious disappearance somewhere over the Pacific Ocean on her ill-fated 1937 round the world flight, she had established herself as more than just a great aviator; she was a revered pioneer for women with a determined spirit to seize every opportunity life granted her. Determined Spirit: The Story of Amelia Earhart is a chance to know Amelia Earhart in a true and personal way. And perhaps find yourself touched by her enduring message of bravery in pursuit of dreams.